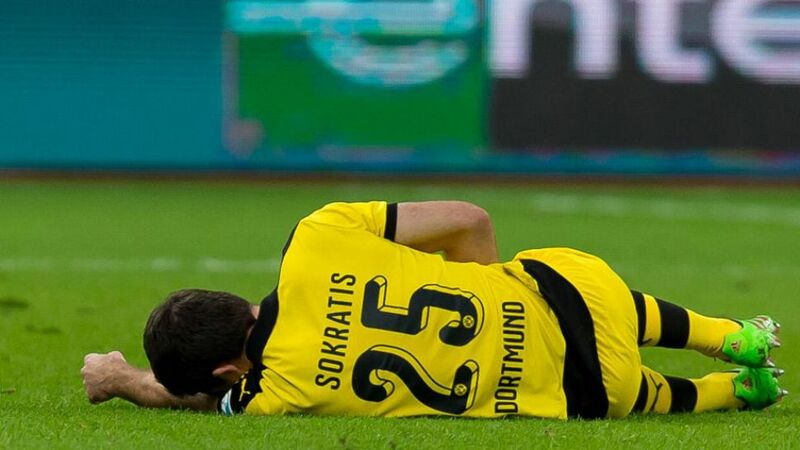 Borussia Dortmund will be without the services of centre-back Sokratis for the next three weeks due to an adductor injury he sustained in BVB's 1-0 victory away to Bayer 04 Leverkusen on Sunday. The Greece international defender was substituted after 77 minutes and tests on Monday confirmed he had torn an adductor muscle. Neven Subotic replaced the 27-year-old in Leverkusen and will vie with Sven Bender to deputise in his absence.